Just like Hippocrates, Amanprana also sees ‘food as medicine’. Amanprana was organic from the very start, as healthy food means a healthy body and a healthy spirit. Food is really the essence of health, and at Amanprana we only use natural foods. Refined foods have caused many Western ailments and poor health, and that is exactly why Amanprana is 100% organic. That means both our foods, where we believe in ‘food as medicine’, as well as our bodycare products, for which our motto is: ‘If you can’t eat it, don’t put it on your skin’. At Amanprana we only use 100% organic products. But what does it actually mean when something is organic? Organic products are the result of organic agricultural practices, which means agriculture that respects the natural world. When you choose an organic product you are choosing animal and environmentally friendly production methods. The approach in organic agriculture is not about feeding the plant, but the earth, and chemical pesticides and fertilisers and preventative antibiotics are not used. Moreover, genetically modified organisms are prohibited too. This is how organic farmers keep their products as close to nature as possible. 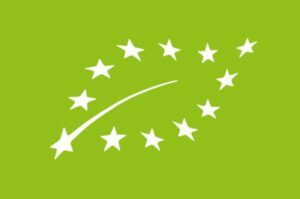 Companies that wish to publicise the fact they are organic must be certified. These certificates are only awarded if they comply with strict conditions. All Amanprana products are 100% organic and certified.